Home Facebook Technology Facebook: The difference between “deactivate” and “delete” and steps to do it. Facebook: The difference between “deactivate” and “delete” and steps to do it. 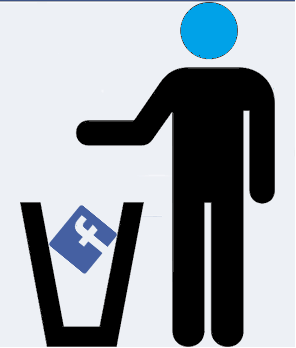 Easy steps to deactivate and delete your Facebook account. Facebook delay deletion a few days after it's requested. If you log in during this time, deletion is canceled. Some information, such as messages you sent to friends, may still be visible to others. Copies of some material (ex: log records) may remain in Facebook database but are disassociated from personal identifiers. We save your account info (ex: friends, interests), in case you reactivate. Please keep in mind that you won't be able to reactivate your account or retrieve anything you've added. Before you do this, you may want to download a copy of your info from Facebook as steps shown below. If you've deactivated your account, you can reactivate it at any time just by logging in.